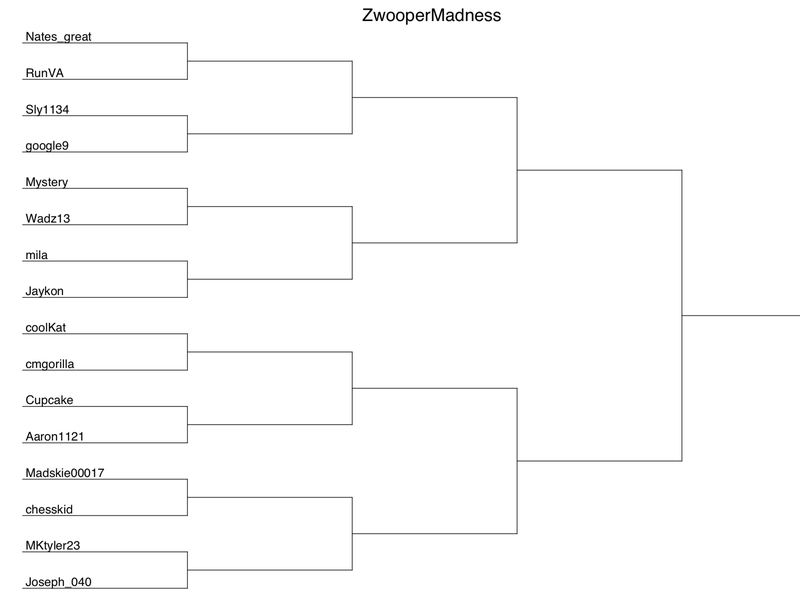 Post: ZwooperMadness | Round 2 (and R1 Results). VOTING OPEN UNTIL 23:30! ZwooperMadness | Round 2 (and R1 Results). VOTING OPEN UNTIL 23:30! Congratulations to our Top 16. Some of the votes were very close, and I am receiving a few votes through Discord or on PMs, so please take that into account if you think I’m mistaken, I promise I have triple checked! @spartan: Nadine is my real name.